Large imprint area and space for a complete record. Avoid Disputes. Customer's signature authorizes the work before it begins. Added Protection. This form has a warranty disclaimer. 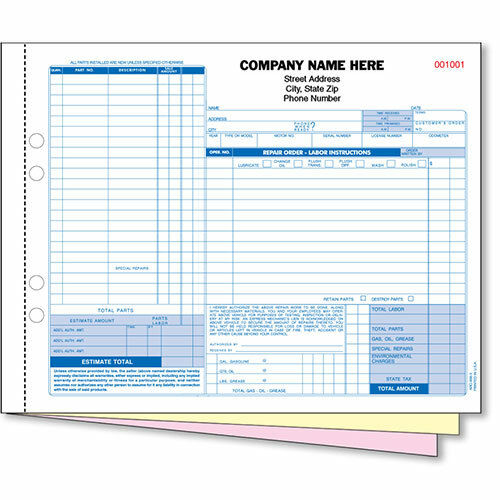 Consecutive Numbering Printed Free of Charge! For Added Durability, the Last Copy is TAG STOCK! Actual Size: 11" x 8 1/2"